you still got this lovely ocean scene from the glass patio. or maybe make a sandcastle. and just 100m away from this lawn there is the bridge. 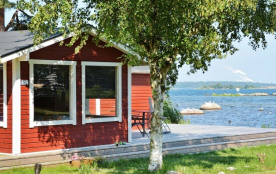 The fishing around the coast of Blekinge is good, varied and exiting. The bathroom is renovated with both clinker bricks and underfloor heating. 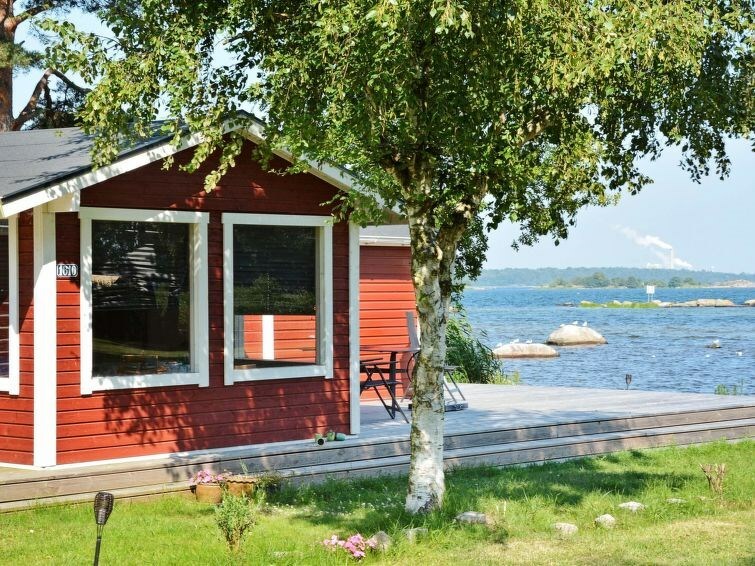 the holiday home you have short drive to the charming city of Karlskrona. to a perfect place for relaxing and recovery! Sölvesborgs kommun - 2 pers.